When it came to the new releases for Spring, this collection by Tarte was calling my name. 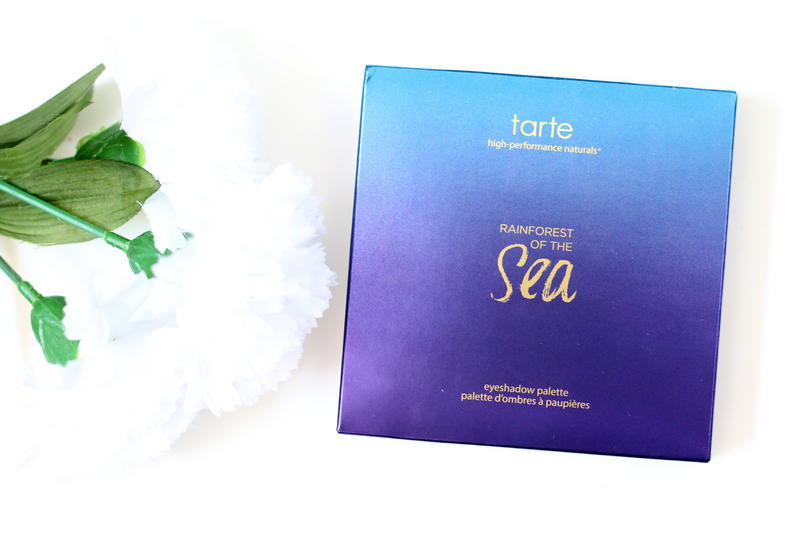 This eyeshadow palette is part of the new Rainforest of the Sea collection. And the packaging is the most prettiest packaging I have ever came a crossed when it comes to palettes. Once I saw the packaging and the colors that were inside I just had to order it. The eyeshadows are feel very velvety and they include ingredients that help hydrate and balance your eye lids. I noticed right away when using these shadows how amazing the texture was. They are not chalky at all and almost have like a wet feel to it. They are very very pigmented and blend easily. 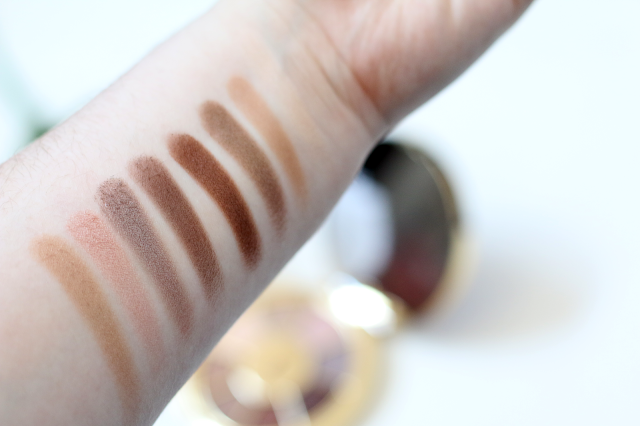 In the swatch photo below I literally just dabbed my finger into the product and swiped it. I was very impressed with the color pay off. The texture isn't like their other shadows. 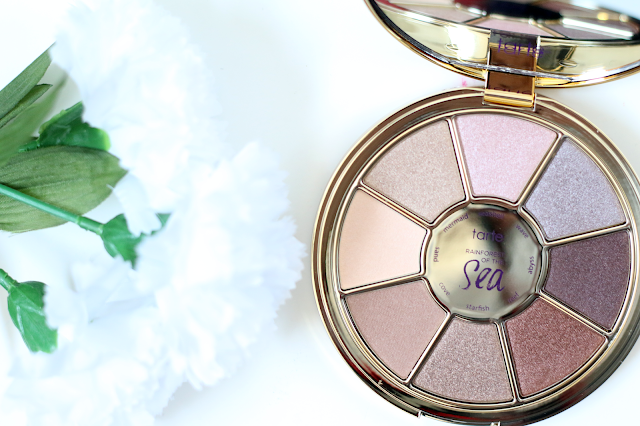 I also love that this palette contains a mix of matte shades and metallics. It is a wonderful everyday palette and would be great for traveling as well. 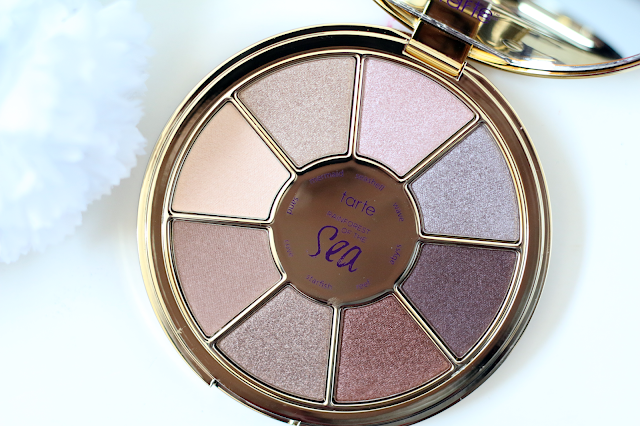 The colors that are included in this palette are: Mermaid (a beautiful gold shade), Seashell (a beautiful light pink), Wave (which is a beautiful taupe shade), Abyss (a dark brown), Reef (a pretty dark copper shade), Starfish (a beautiful bronze shade), Cove (a matte tan shade) and Sand (a matte ivory). I found all of the shades to be equally as pigmented. This palette comes with 8 different eyeshadows and it retails for $34.00 and can be found at www.sephora.com. 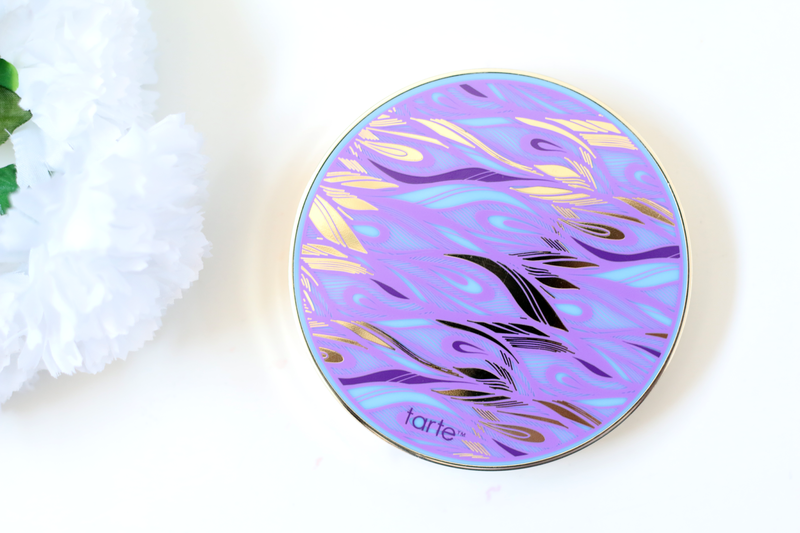 Also, this palette is limited edition so if it catches your eye, you might want to snag it up before it is no longer available.